The U.S. Treasury Department announced its move to add top M23 commander Sultani Makenga to its list of Congolese warlords under sanctions for their role in stoking violence in the eastern Democratic Republic of Congo. Makenga is the first militia member newly targeted with U.S. sanctions since M23 fighters split off from the Congolese army in April; however, M23 leader Bosco Ntaganda has been on the U.S. government's Specially Designated Nationals List since 2010. 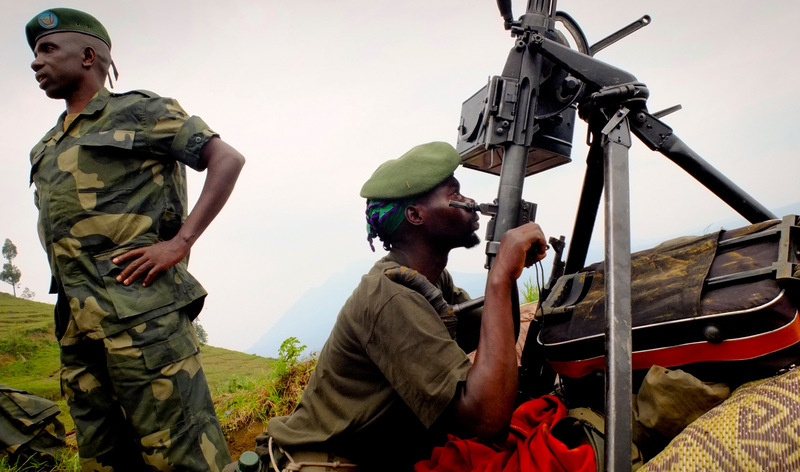 "Sultani Makenga is responsible for extensive atrocities against the population in the DRC, including the recruitment of child soldiers, and campaigns of violence against civilians," said Office of Foreign Assets Control (OFAC) Director Adam J. Szubin in a statement on Tuesday. "Today's action reflects the international community's commitment to resolving the ongoing crisis in the region." According to OFAC rules, any assets Makenga owns in the United States are frozen, and Americans are barred from conducting transactions with him. The United Nations also added Makenga to its sanctions list on November 12, barring him from traveling outside Congo. Congolese government spokesman Lambert Mende said the move was "a good start," but noted, "Sultani did not invent this pseudo-mutiny in the east, [but remains] an instrument behind much wrongdoing," according to Agence-France Presse. Mende's statement is an allusion to ample reports that the M23 rebellion has powerful backers in both the Rwandan and Ugandan governments—individuals who arguably have far more at stake when it comes to being hindered by U.S. sanctions. The most recent U.N. Group of Experts report on Congo, leaked to the media last month, named Rwanda's chief of defense staff, Gen. Charles Kayonga, as giving "direct military orders" to the rebels in Congo, on instruction from Rwandan defense minister Gen. James Kabarebe. Several high-ranking Ugandan security officials were also identified in the report as having direct links to M23. The U.N. statement announcing the move against Makenga said that in addition to orchestrating atrocities against civilians, he had received arms and other material "in violation of measures taken by the DRC to implement the arms embargo" against the country, such as importing and being in possession of arms. The statement did not mention the source of the materiel, which would quickly lead onto more politically sensitive turf. The Enough Project's Senior Policy Analyst Sasha Lezhnev commented, "U.S. and U.N. sanctions against M23 commander Makenga are a good bite at the apple but must be followed up with bolder action. They make it more difficult for any country to harbor M23 leaders or assist them. However, U.S. and U.N. sanctions against Rwandan officials who have been aiding M23 would be more effective in pressuring M23. Rwandan officials actually travel abroad, have children studying overseas, and have international bank accounts. Makenga, a field commander, is much less likely to fit in any of those categories."